I feel like if the Grinch got a new pair of Harry Potter socks every day for twelve days, he would have never needed to meet Cindy Lou to understand the joy of Christmas. 1. A Madelaine calendar for the milk chocolate connoisseur who would like nothing more than to fall into a chocolate lake, in the vein of Augustus Gloop. 2. A Melissa & Doug countdown calendar so that your kiddo can ~add~ a new magnetic ornament to their very own tree daily. And on Christmas Day? They add a star to the top! 3. A Harry Potter-themed set to infuse your sock drawer with some muggle-free magic. I solemnly swear that this thing will become the highlight of your December. This calendar includes 12 socks; six crewcut socks and six low-cut socks. Get it from Amazon for $26.98. 4. OR! If you're not crazy about the Harry Potter sock calendar above, may I present THIS sock calendar as an option instead? This calendar contains eight pairs of ankle socks and four pairs of crew socks! Get it from Target for $15. 5. 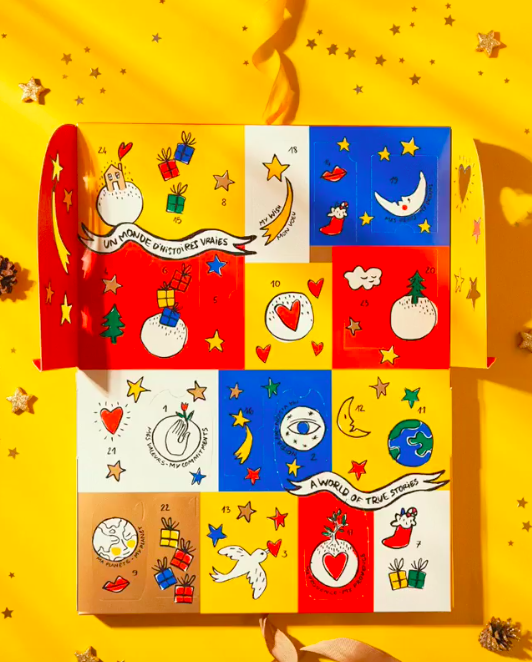 A L'Occitane calendar that includes their best-selling fragrances and products. Cherry blossom shower gel? Verbana body lotion? Shea butter hand cream? Be still, my L'Occitane-obsessed heart. 6. An Ulta ~12 Days of Beauty~ box you'll want to purchase for the beauty enthusiast in your life. This super affordable star contains products that would be on the vanity of your dreams — highlighters! Liquid lipsticks! Chubby eye crayons! Brow pencils! The list goes on and on. Get it from Ulta for $18 (valued at $74). 7. A Lush hat box that has descended from cruelty-free, vegan skincare heaven. Expect everything from their cult-favorite Snow Fairy shower gel to a star bath bomb that will transform bathwater into a turquoise, pink, and purple work of art. Get it from Lush for $99.95. 8. A "24 Days of Tea" calendar for the pal in your friend group who prefers earl grey to cold brew. This contains finely-sourced, unique tea blends that range from Chinese black tea to Scandinavian tea with cranberry and elderflower. 9. 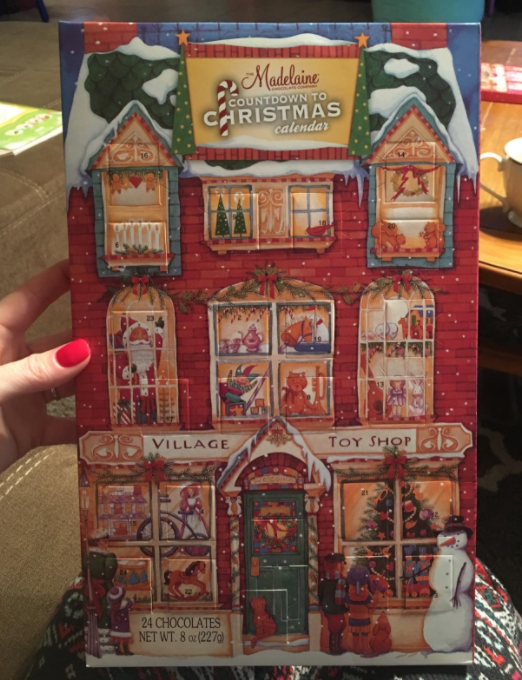 A LEGO countdown that contains 24 ~secret~ compartments, each containing a fun, festive, buildable gift. Christmas trees, candy canes, and gingerbread men, oh my! 10. A Rituals calendar packed with luxe skincare products valued at $179. Think luxe, foaming body washes and decadent candles that will give you some much-needed me time. This calendar contains 24 products that will take your skincare routine to a whole new level. Get it from Amazon for $89. 11. A countdown calendar with colorful tiles you can slide into place on the corresponding day. It'll feel (and look!) as if you're adding a new ornament to this tree every darn day. 12. A wine box containing twelve different, delicious glasses of premium ~vino~ imported from all over the world — Italy, France, Spain, Heaven, and more! This box acts as a vineyard wine tasting, except you won't need to leave the comfort of your own couch to experience it. Psst, you might want to ship this to a work address because an adult (in other words, you) have to sign for it. Get it from Vine Box for $129. 13. 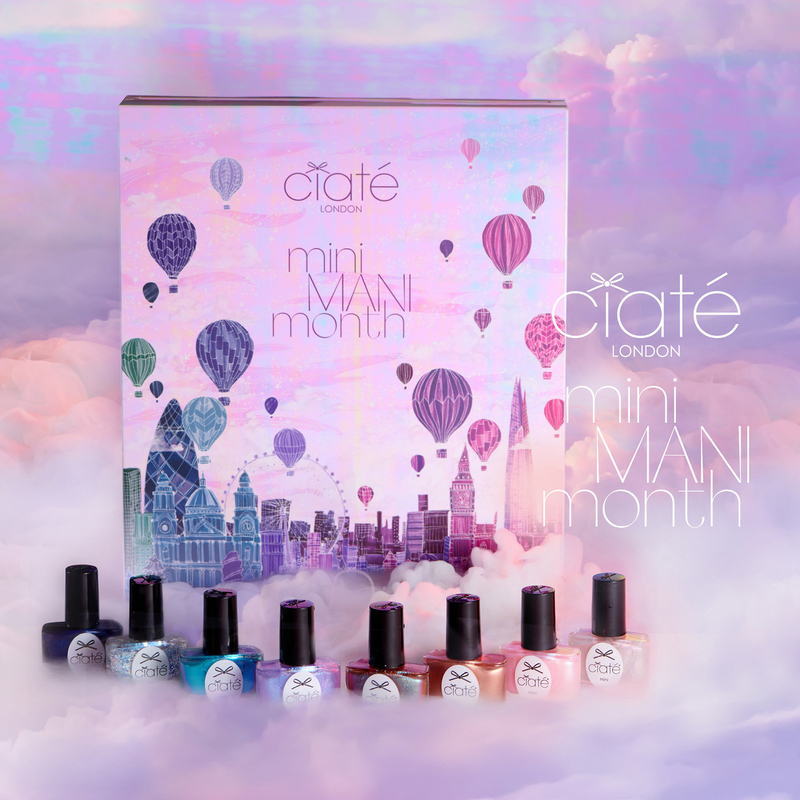 A Ciaté London nail set here to up your at-home manicure game. These mini bottles come in 21 gorgeous hues, including a ~ chilli-inspired~ color that is truly the perfect red. 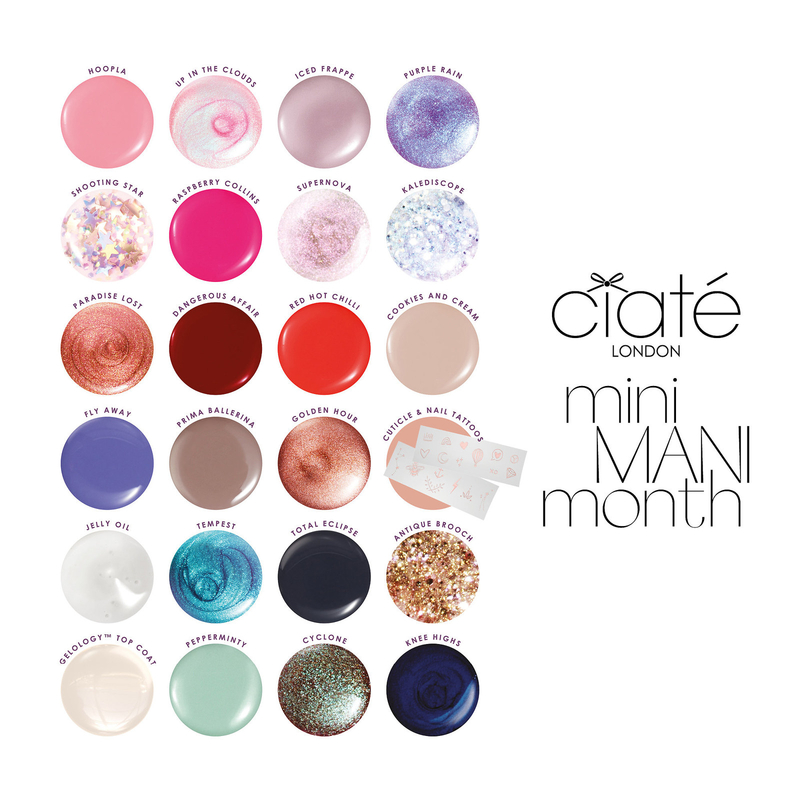 This set comes with 20 mini nail polishes, one full-sized polish, a mini treatment, and a mini top coat. Get it from Sephora for $59 (a $219 value). 14. 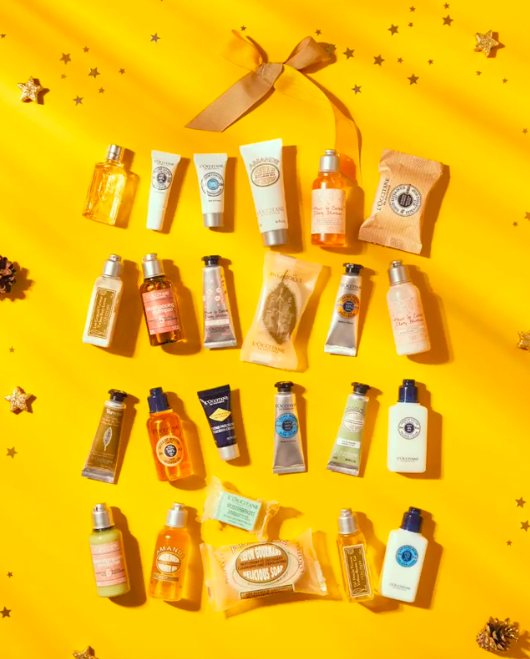 An advent calendar that will have you covered throughout your entire shower routine, thanks to a variety of The Body Shop products. Think everything from chamomile eye makeup remover and peppermint shower gel to grapefruit body lotion and rose body scrub. Get it from The Body Shop for $110. 15. 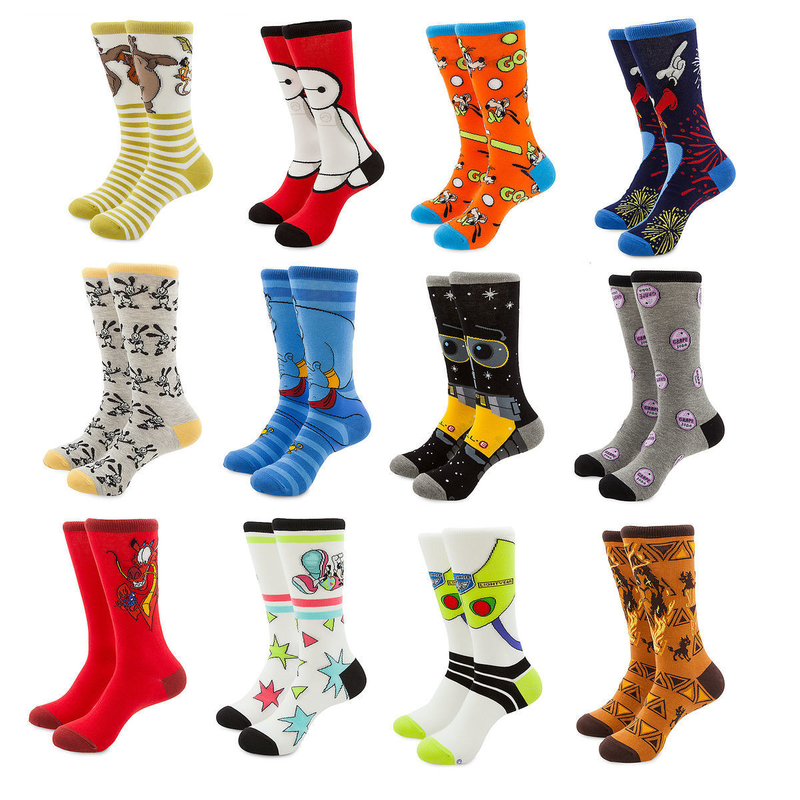 A Disney countdown calendar packed with 👏 SOCKS 👏 to infuse your toes with the sheer magic that is Disney. Dumbo on my feet? I'm with that. Get it from Shop Disney for $35.95. 16. A Barbie calendar complete with 24 career-themed outfits and accessories. Barbie won't need to train to transition from an ice skater on one day to a veterinarian the next! How lucky for her. 17. A NYX calendar you'll want to hide from friends and family. Why? They'll try stealing all the fan-favorite lip creams, butter glosses, and stunning shadows this box houses. Get it from Ulta for $33. 18. A luxury Diptyque calendar guaranteed to make you feel like someone you are usually not — in other words, bougie. Get ready to unpack 15 mini candles, seven fragrances, two body care products, and a ~special~ surprise. 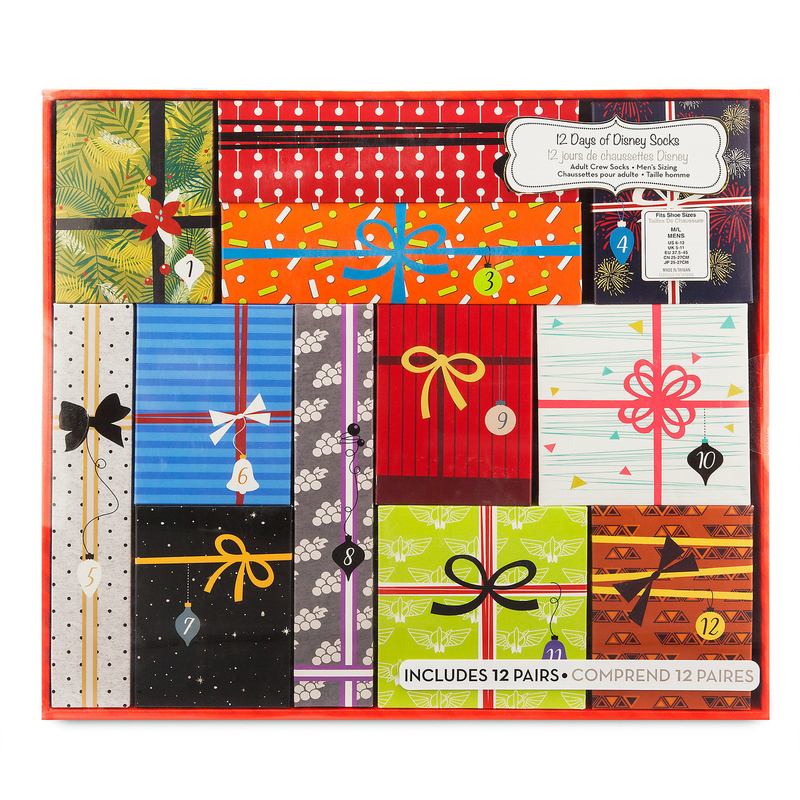 Get it from Diptyque Paris for $425. 19. 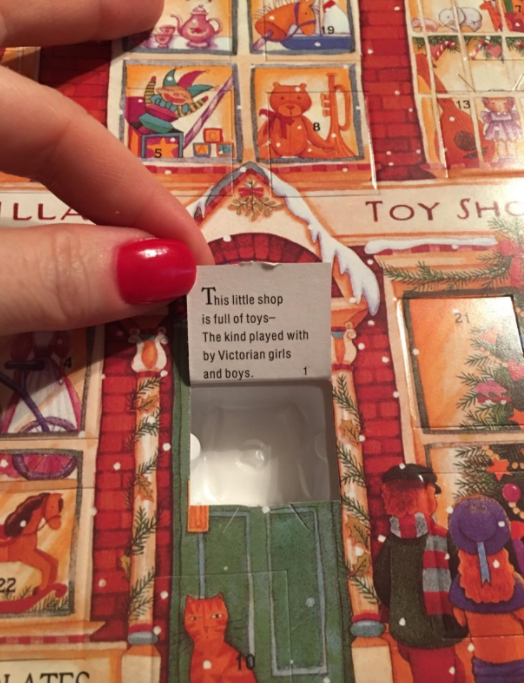 A sugar-fueled advent calendar your sweet tooth will love you for, because this little box will have you feasting on white chocolate pralines, chocolate-coated almonds, dark chocolate pralines... just lots of chocolate, chocolate, and more chocolate. Get it from Bergdorf Goodman for $50. 20. A Charlotte Tilbury countdown box that luxury beauty connoisseurs may faint upon seeing. This contains twelve full-sized and travel-sized products — including the best-selling and ultra-matte "Pillow Talk" lipstick. Cue Zayn. Get it from Charlotte Tilbury for $200. 21. A Lip Smacker calendar to get you pumped for Kiss-mas, à la moisturizing lip balms inspired by bubble bum, cotton candy, mango, and eight other delicious treats. Get it from Target for $12. 22. A wood calendar that will let you get creative this holiday season. Pick out some small gifts for your kiddos, place 'em in each drawer, and you'll have yourself a personalized gift machine! Get it from L.L.Bean for $59.95. 23. A keepsake advent calendar guaranteed to become an annual staple in your holiday decor — every door opens to reveal a new, gorgeous illustration by artist Jennifer Orkin Lewis. Get it from Anthropologie for $18. Want even more awesome shopping content? Check out the below!